Currently viewing the tag: "dental"
We Have 14 New Electronic Dental Textbooks! 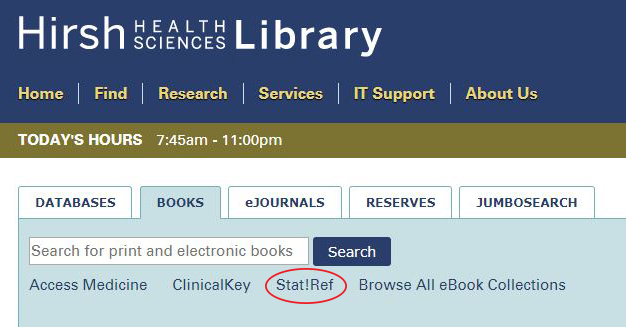 We have recently acquired 14 new electronic textbooks through the Stat!Ref platform. The Stat!Ref platform lets you search simultaneously across multiple textbooks. 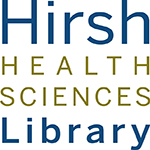 To get to it, simply go to the Hirsh Library website, click on the “Books” tab then click on “Stat!Ref.” Of course, you can also access these books individually by searching for them by title on JumboSearch. If you’ve done dental searches on Stat!Ref or JumboSearch in the past the results will now look different – in a good way! All 14 of our new purchases were published within the last 5 years, and they cover everything from exercises to maintain or improve hand dexterity to dental codes to caries to implants to periodontitis and TMD. Here are a few titles we want to highlight in particular. You can find the full list at the end of the post. First our most unique purchase, Dancing Hands. This book from 2013 looks at ways to improve ergonomics in the treatment room and improve manual dexterity of the dentist. 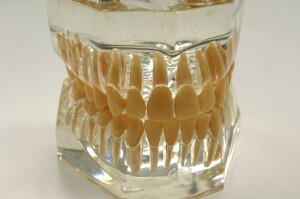 Need an introduction to materials used in restorative dentistry and how to select what? Check out Esthetic and Restorative Dentistry: Material Selection and Technique with entire chapters on composites, ceramics, impression taking, adhesives, posts, and more. Treatment of TMDs: Bridging the Gap Between Advances in Research and Clinical Patient Management looks at orofacial pain, particularly in relation to the temporomandibular joint (TMJ). The biology of orofacial pain, as well as the biomechanics of the TMJ are established first, followed by diagnostic technology and therapeutic options ranging from injectables to pharmacologic management, including responsible use of opioids. Here are all fourteen new acquisitions in alphabetical order. Just click on the title to browse the book on the Stat!Ref platform. We hope you enjoy our new purchases! 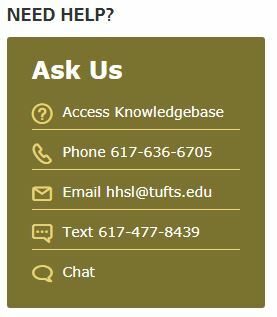 Feel free to give feedback on our dental collection to Amanda Nevius, our library liaison to TUSDM. 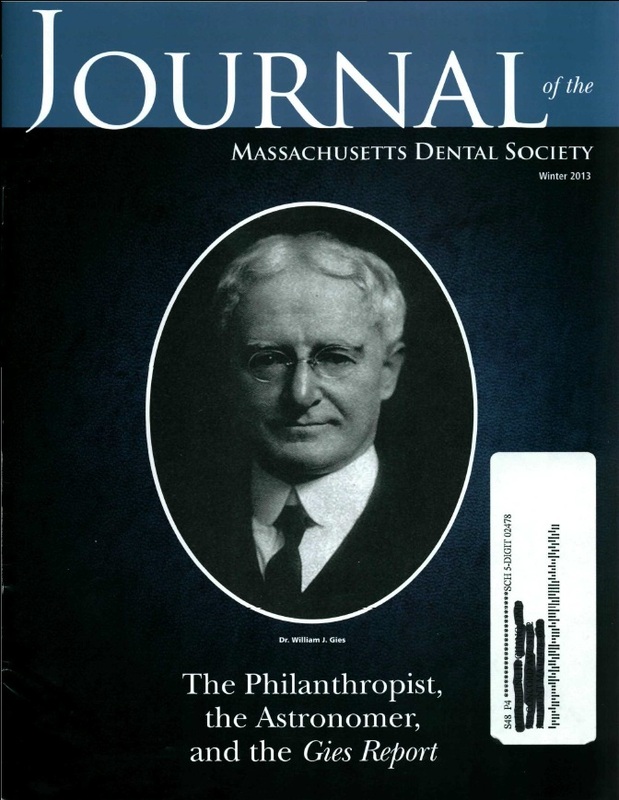 Dr. Charles B. Millstein, D62, recently wrote an article appearing in the Winter 2013 issue of the Journal of the Massachusetts Dental Society. 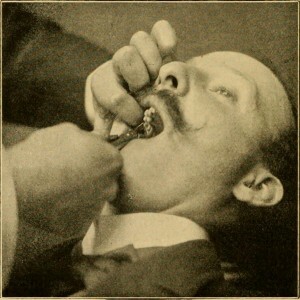 The cover-story gives a historical overview of the many local impacts of the Gies Report, published in 1926 and reporting on a four-year survey of dental education in the United States and Canada. One of the impacts was the forming of the graduate teaching program at the University of Rochester, where six deans of Dental Medicine at Tufts earned their degrees. Dr. Millstein is a 1962 graduate of the Tufts University School of Dental Medicine, serves on the Dental Alumni Executive Council, is an Assistant Clinical Professor, the historian of the Massachusetts Dental Society, and a practicing endodontist in Cambridge, MA. You can read the full article by stopping by the 4th floor of the library and picking up the Winter 2013 issue! 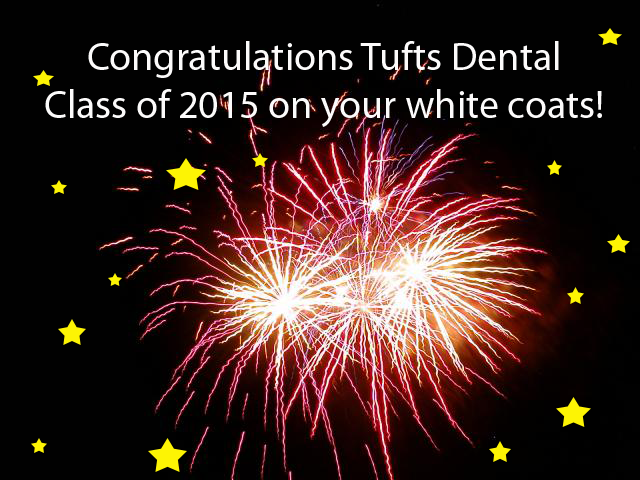 Congratulations Dental School Class of 2015 on receiving your white coats! The Hirsh Health Sciences Library would like to congratulate the dental students on receiving their white coats this past Saturday! 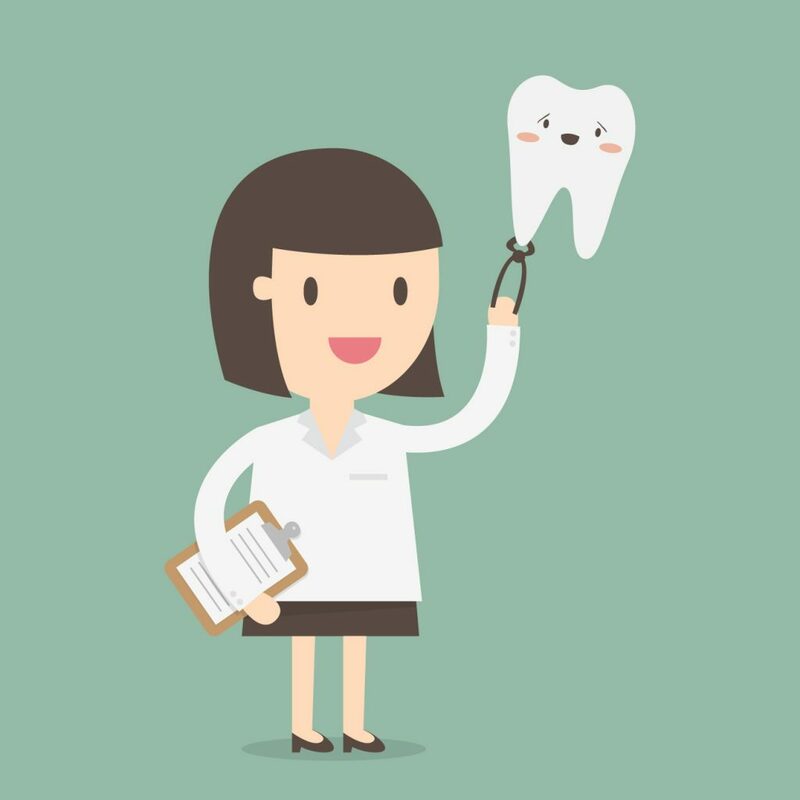 Looking for dental resources? 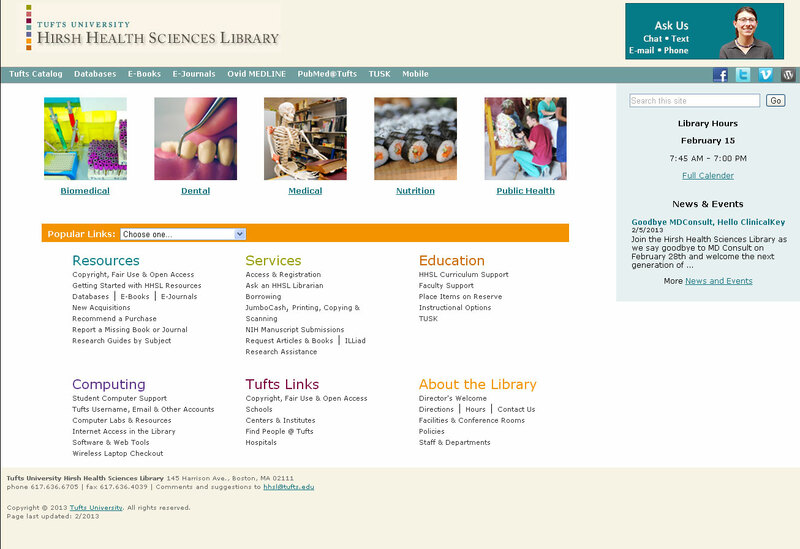 Check out the new Dental portal on the Hirsh Health Sciences Library website!